Why Aren’t All Your Teas Certified? As people who love and care about tea we believe that we have a responsibility to support a higher standard of living and a sustainable future for the people who bring us these fantastic products. For this reason, Arbor Teas is committed to offering one of the widest selections of Fair Trade Certified® loose leaf teas available, and we celebrate the Fair Trade Certified® Communities from which they originate. Fair Trade Certified tea comes from both cooperatives and from large farms. Fair Trade helps tea farmers and workers gain access to capital, set fair prices for their products, and make democratic decisions about how to best improve their business, their community and their tea. The best tea gardens and cooperatives understand that high-quality specialty teas depend on the people and the environment that produce them. Fair Trade is rapidly becoming an important part of the economy, and with that comes a desire for transparency. Fair Trade is a complicated organization, and not without criticism. As a result, it is often confusing for consumers and companies alike. The following are a few key points to understand how Fair Trade works. Two primary organizations are responsible for operating the Fair Trade program in the USA. The first, Fairtrade Labelling Organizations International (FLO), provides the international oversight for Fair Trade efforts across the globe. FLO is responsible for establishing the internationally-recognized Fair Trade standards, and then certifying those producers who operate in accordance with them. The second is TransFair USA, TransFair (or Fair Trade USA) is primarily responsible for tracking the purchase and sale (within the United States) of products made by Fair Trade Certified producers abroad. They are the sole organization in the USA that licenses wholesalers and retailers to legitimately use the Fair Trade logo (one of 20 member-organizations of FLO around the world). Environmental sustainability: Harmful agrochemicals are discouraged in favor of environmentally sustainable farming methods that protect farmers’ health and preserve valuable ecosystems for future generations. Fair Trade Certified producers benefit from the Fair Trade program by receiving a premium that is assessed on every pound of Fair Trade Certified product purchased by importers/resellers. This money goes directly back to the producers, who democratically decide how it is to be invested in social welfare programs (healthcare, education, infrastructure, etc.) benefiting their community. On the international side, FLO inspects Fair Trade producers on an annual basis, not only to check work conditions, wages, use of Fair Trade premiums and the like, but also to make sure they have a viable plan for selling their product. On the domestic side, TransFair performs quarterly audits of all companies licensed to sell Fair Trade Certified products. These audits ensure that the quantities of Fair Trade imports into the USA are properly accounted for through the whole supply chain. In doing so, they aim to prevent the fraudulent sale of non-Fair Trade products as “Fair Trade,” and to make certain that producers receive all Fair Trade premiums that they are due. If this seems like a lot of red tape just to bring socially-responsible goods to market, you’re right. It’s not easy, particularly in a global economy such as international agriculture, and that’s one of Fair Trade’s biggest criticisms as well as achievements. But, there is no other independently audited program (at the moment) that can fairly and accurately account for goods produced in a socially-responsible way all the way from the field or factory to a shopping cart half-way around the world. Why Aren’t All of Your Teas Fair Trade Certified? One reason all of our teas are not Fair Trade Certified is that the Fair Trade movement in the tea industry is still growing, and many authentic varieties remain unavailable in a Fair Trade Certified® form. However, we search constantly for new Fair Trade Certified® products that meet our standards, and will add them to our inventory as they become available. Additionally, because Fair Trade focuses on the developing world, teas from places like Japan (where fair market and labor conditions already prevail) will not be found under the Fair Trade Certified® label. If you find a Japanese-style tea bearing the Fair Trade Certified® logo, it has most likely been grown somewhere else. We receive our tea and herbs from many Fair Trade Certified gardens around the world. Read on to learn about several of them! The Rooibos-producing farm Driefontein (“three fountains”) is located near the small town of Redelinghuys some 200 km to the north of Cape Town. Originally, it belonged to a commercial farmer who pursued Fair Trade Certification as a way to empower his 36 permanently employed workers. In March 2010, the 110 hectare Driefontein farm was put into a trust and the 36 farm laborers formed a legal cooperative as the Driefontein Small Farmers’ Cooperative. Their enthusiasm and relationship with Rooibos Ltd have resulted in the excellent production of organic Rooibos in a sustainable way to better the lives of these workers and their families. The Driefontein Small Farmers Cooperative has used the Fair Trade premiums for education, operational costs, domestic upliftment and the accumulation of capital to buy assets and fund retirement benefits. Most importantly, the Driefontein Cooperative focuses on creating a sustainable future. At the same time, it prioritizes generating tangible benefits such as sending their children to school in new clothes at the start of the year and improving their day-to-day lives by buying a new fridge, TV or washing machine. Arbor Teas is proud to offer the following products which use rooibos produced at Driefontein. Nestled among the hills on the southern edge of the Uva Highlands of Sri Lanka, the Greenfield Estate is part of the Greenfield Bio Plantations which includes the Greenfield and Thotulagala Estates. At an altitude of 5000-6000 ft where the climate is cool and the air beautifully clear, the Greenfield tea factory is surrounded by roses and jasmine -- their fragrance backed by the heady aroma of newly processed tea. On clear days the coast shimmers in the far distance. Fair Trade certified in 2003, the Greenfield Estate used its premiums to construct a new cultural center where social functions, weekly meetings, clubs, and classes are held. They have also re-painted homes and, by popular vote, provided each home with a lockable wardrobe for storing valued possessions away from moths and humidity. Additionally, they have provided English language lessons for young people on the estate and purchased extra schoolbooks. A team of estate workers run a compost project which produces the compost needed by the estate. All estate residents receive a a cow and are encouraged to produce their own compost for sale to the estate and to neighboring estates. Milk is sold through a central estate milk shop, supplying the workers and surrounding villages, and providing the residents an extra income. Fair Trade premiums have allowed for the purchase of more cows by the estate residents. Fair Trade certification is just one part of estate’s efforts to give back to the local community. They also maintain active participation in the Forest Garden Program -- an initiative working to reverse the effect of deforestation on the environment -- and run medical camps that rotate through the project areas providing access to medical professionals and prescription medicines. Similarly, Greenfield also runs optical camps every year, providing eye exams, prescription glasses, and referrals as needed. At its inception, the Greenfield organic project experienced severe social problems among the disaffected and marginalized youth including alcohol and drug abuse. With opportunities to learn new skills, follow different career paths, and be instrumental in the setup and development of new projects these problems are beginning to disappear. The Idulgashinna Estate is part of the Stassen Bio Estate collective. In 2014, the Stassen Bio Estate was recognized at the Fairtrade Awards as the top hired labour organization in the Asia Pacific region. Fair Trade premiums are frequently invested in education by the workers of Idulgashinna, but the integration of the Fair Trade system in 1992 has also had a large impact on the estate. Prior to Fair Trade’s involvement, Rajaratnam Gnanasekeran, manager of one of the Stassen Estates and Chairman of Sri Lanka’s Fair Trade producer association, described an environment where the workers operated under both fear and obligation. Their voice remained largely unheard, resulting in a disconnect between the needs of the workers and the management’s objectives. The rights of the workers were not the only challenge that Stassen Bio Estate faced, another was accessible education. Education is a right of every Sri Lanka citizen, however the nearest school for the Stassen Bio Estate was several kilometers away. This made it extremely difficult to access, and almost impossible for the younger children, as it would involve a long, walk on rough roads. The problem was further compounded with no available public transportation and the plantation, itself, was financially unable to support the cost for a private bus. Providing accessible education was extremely important to the workers at Stassen Bio Estate, so much so, that the Fair Trade Premium Committee decided to allocate their premiums to purchase a school bus. “The roads were very bad and school children could not go to school,” said Gnanasekeran. “And now with the premium money they bought a bus and all the children are able to go to school and it’s almost hundred percent, nobody stays.” Today, all children six and up, are taken from their home to the school by bus and brought back to their homes each evening. It is the Fairtrade Premium Committee, made up of the workers themselves, not management, which is perhaps one of the most powerful aspects of Fair Trade at this Stassen Estate. The Committee ensures that the top concerns are addressed and that the workers and their families (and the community) receive an immediate benefit. This democratic system has provided an additional voice to the workers, where they can vote to decide where their hard earned money will be spent. It has empowered them to not only communicate their needs, but seek out solutions. “The workers attitudes have changed, they are no longer afraid, they are happy. And they have no fear now, they’re able to go meet with management directly and talk to them,” said Gnanasekeran. Situated in the Wuyuan Mountains of China in the Jiangxi region, the Da Zhang Shan Tea Garden maintains the region’s 1,200-year reputation as the “golden triangle” of exceptional tea production. The farmers of Da Zhang Shan are traditional tea cultivators and have never used chemical fertilizers or pesticides on their property, which made it easy to achieve organic certification in 1997. The cooperative is dedicated to expanding its membership, improving working conditions and economic efficiency, and spreading the word about organic agriculture and environmental sustainability. In 2001, the Da Zhang Shan Organic Tea Farmer Association became the first producer organization in China to gain Fair Trade certification. The group has more than 5,400 member households; moreover, the proportion of women members has increased dramatically since its inception. Today, women make up almost 35 percent of the membership. The association extends membership not only to farmers but also to the technicians and tea processors who handle the teas and prepare them for sale to buyers. Da Zhang Shan farmers and workers live in eight townships around the Da Zhang Shan Mountains. The tea gardens are located on the hills surrounding the villages. This scenic mountain range is still rich in natural resources and unpolluted by the industrialization that characterizes many metropolitan areas. The cooperative is governed by a board of democratically elected representatives who make business and community development decisions for the farmers and workers. Since the farmers of the region generally work their own land and have no problem growing food, the cooperative focuses mostly on improving working conditions and funding children’s education. The Da Zhang Shan General Assembly says Fair Trade has helped to promote positive change in the communities. Many successful projects have become visible incentives for other tea producers to join the association. Da Zhang Shan farmers earn 15 to 20 percent more from tea sales than other families in the area. Fostering Education: Da Zhang Shan farmer members have devised a number of projects aimed at improving education in the area. 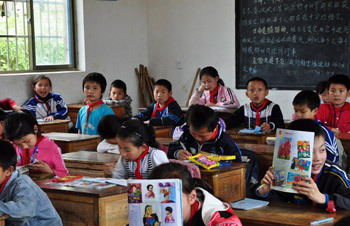 Workers voted to give $120 to each of the tea farmers’ children to support their enrollment in high school and universities. 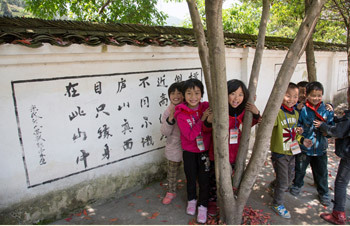 In 2009, the cooperative members built a new dormitory for the students of the Tuocuan Middle School. These education investments are particularly important for young girls in the community, who are the first to lose the opportunity to earn an education when a family’s funds are low. Supporting Organic Agriculture: Da Zhang Shan provides technical assistance and training programs in order to develop farmers’ organic agricultural knowledge, which will help them to preserve their environment and protect the health of the workers. In March 2009, the cooperative sponsored visitors from BCS and CIQ to give farmers training in organic agricultural maintenance of natural environments. BCS and CIQ are organic certification companies that offer technical assistance training programs in organic cultivation. Trainings in organic agriculture and management are held at least twice a year. 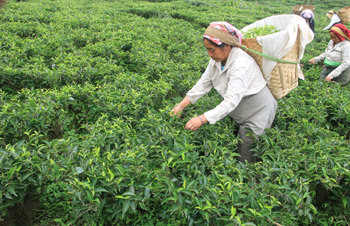 In 2009, Fair Trade premiums helped purchase improved varieties of tea seedlings for farmers to plant. New Infrastructure: The association invested in new tea processing equipment to improve the quality of its tea and the living conditions of its tea workers. In 2009, Da Zhang Shan’s General Assembly voted to use Fair Trade premiums to rebuild parts of tea factories and member farms. Microcredit Program: The association budgeted for a microcredit program. This initiative provides family members of cooperative members with small loans to start their own businesses. 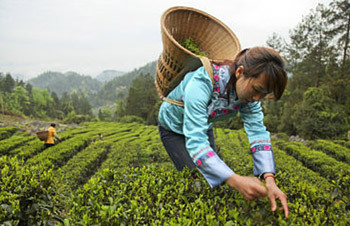 Arbor Teas is proud to offer a variety of teas produced at the Da Zhang Shan Cooperative. Jiangxi WuYuan Xitou Tea Farmer’s Association in China’s Jiangxi province reflects the transition of a society from governmental control to democratic processes and market economy. WuYuan Xitou was registered with Fair Trade in 2004. Since then, the Fair Trade system, standards and process has helped the WuYuan Xitou tea farmers in their progress toward the democratization of their local economy and government. Once state-owned, WuYuan Xitou’s 10 tea gardens are now owned by individual farmers who have collectively assembled to make up the farmers association. Three of the tea gardens are collectively owned but individually managed. For example, one garden belongs to the area’s middle school and is rented to a single tea farmer who manages it independently. Medical Insurance and Health Training: Premium funding paid to producers as a result of Fair Trade sales help farmers and workers invest in better lives for themselves and their communities. The association elected to improve the community's access to health care by investing their Fair Trade premium fund in covering members' medical insurance. Funds also enabled the community to improve the conditions of their local health centers, providing them with better access to needed medicines. Members are now even able to receive training in general health care practices. Organic Certification and Trainings: Farmers have utilized their premiums to cover organic certification fees, demonstrating the farmers dedication to adhering to Fair Trade's sustainable agricultural standards. Strict environmental criteria are core to these standards, including the elimination of harmful agro-chemicals and genetically modified organisms plus environmental assessment plans to protect fragile ecosystems. While organic certification is not required by Fair Trade, farmers will receive a higher price for their organic harvests, which in turn can be used to provide technical assistance to farmers. Construction (Roads, Street Lamps): Street lights have been installed in Sha Sue village and roads have been repaired, improving access to the tea processing facilities and remote tea gardens in Qing Shi and Shang Xi. Arbor Teas is proud to offer a variety of teas produced at Jiangxi WuYuan Xitou. "We give our tea plantation constant and natural assistance with biodynamic techniques. One look at our land, even to the unschooled eye, will show a forest teeming with wildlife and plant life, a bounty of the sky with butterflies and birds, and all these synergistic life forces show up in the cup." -- Rajah Banerjee, Makaibari owner and manager. The Makaibari tea garden lies in the Darjeeling hills of northeastern India. In continuous operation since 1859, Makaibari is one of the oldest of all Indian tea gardens, and home to 610 tea workers and their families. The Makaibari tea garden is a pioneer in innovative management. As early as 1971, garden manager Rajah Banerjee made the decision to switch production to a “permaculture”-based system, and since 1991 production has been 100% organic and biodynamic. Mr. Banerjee lives on the garden and takes great pride in the high quality of Makaibari teas, which have consistently been ranked among the best of all Darjeeling teas. Education: In 2004, Makaibari purchased two computers and a printer for a computer education program that benefits nearly 100 children. Scholarship funds: Several young tea garden members have received scholarships to study horticulture at a center in Darjeeling. Productive Investment: Workers of Makaibari have installed electricity in their homes and villages. Makaibari helped repair bio-gas units and purchased natural gas for cooking and livestock for milk and dairy products, which workers then sold at local markets. 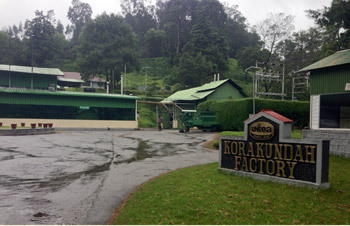 Arbor Teas is proud to offer a variety of teas produced at the Makaibari Tea Estate. Located in Yunnan, China, the villages of Mannong and Manmai are nestled in one of the oldest tea cultivation zones in the world on the Hekai Tea Mountain, in the northern section of the famous Nannuo mountain chain in Xishuangbanna. The area's pristine natural environment and rich biodiversity make it a truly special place for tea, and the mild, moist climate provides excellent growing conditions. The Mannong Manmai Ancient Tea Association was initially founded in October of 2004, and became Fair Trade Certified in February of 2007. The areas under organic and Fair Trade Certified production are entirely old-growth tea trees, some planted more than 1,500 years ago. Today, nearly 1,650 acres of ancient tea gardens exist in the Mannong and Manmai tea growing area, which produce approximately 250,000 kg of tea each year. Although the villages of Mannong and Manmai are rich in ancient tea culture, a significant percentage of the people are poor, and the area remains significantly underdeveloped. Many villagers do not have access to educational or health care services. The Fair Trade premium has enabled the Mannong Manmai Ancient Tea Association to support the community in a variety of ways, including water infrastructure improvements, educational scholarships, new temples, a basketball court, and improvements to their tea processing facility, including new health and safety features. Arbor Teas is proud to offer a variety of teas produced at the Mannong Manmai Ancient Tea Association. In 2005, the wild-tea pickers of Nam Lanh in north Vietnam in the region on Yen Bai became Fair Trade certified through association with the Nam Khat Cooperative. The ancestors of the villagers have been populating the northern mountains of Vietnam for thousands of years. Though Vietnam shows signs of modernization in most places, the village manages to preserve its lifestyle and customs. Men and women dress in the traditional black clothing of their ethnic Dzao group. Mostly subsistence farmers, traditionally making a living from growing rice, herbs and rearing chickens, their goal with their Fair Trade premiums is to increase income enough to support them in their efforts to stay on their land and in their villages, maintaining their traditional lifestyles. Fair Trade premiums are enabled the construction of a concrete school structure for over 40 children in the village. Currently the village has two schools, a new one made out of concrete and an old wooden hut. With the premiums, the villagers of Nam Lanh built a second concrete school that not only improved the learning conditions for the children but helped support the traditional fabric of the village. Parents are often away for many hours tending to their semi-wild crops in the mountains. Whilst away the school helps provide assurance that their children are taken care of and secure. Oothu Singampatti Estates is one of several holdings of the Bombay Burmah Trading Corporation Ltd. (BBTC). The Oothu Singampatti Tea Estate was started in 1929 as a new plantation in the Manjolai Manimuttar hills in the eastern mountain region of southern India. In 1965, the Singampatti Group was founded to manage this estate. 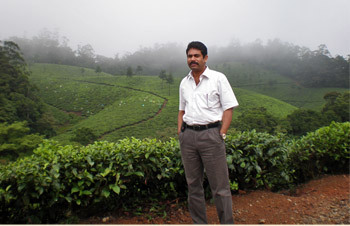 This group has three distinct operations, but Oothu Singampatti is particularly interesting as it was the first of the three tea gardens to adopt biodynamic principles and the first in the country to become certified organic. Oothu is situated among the tropical evergreen forests of the Kalakkad and Mundanthurai Tiger Reserve. These forests are some of the best preserved in the world and are home to a wide variety of plants and animals. The local communities have been able to preserve the native flora and fauna extraordinarily well over the years. Oothu Singampatti practices 100% organic tea cultivation and production, and parts of the other gardens—Manjolai and Manimuttar—are fully organic certified. The organization has always strived to achieve the most sustainable agricultural practices. This history of integrated sustainability made the organization an easy fit for Fair Trade when the group gained certification in 1995. Education: Estate workers voted to purchase computers for use in estate schools. Children of estate workers will be able to use the new computers to supplement their studies in the classroom. The estate also allocated educational stipends to 131 children of estate workers in 2008 and 2009. Many of the estate workers wish for different careers for their children, as farming can be physically demanding work for a modest financial return. Through education programs, children can learn professional trades, earn higher incomes, and eventually help support and care for their parents. Microfinance Programs and Funeral Funds: The area of microfinance has garnered much attention in the past 10 years, especially in South Asia. Microfinance includes not only small loans for home-based businesses (the most familiar use of the term), but also savings and insurance programs. The estate workers voted to use Fair Trade premium money to fund life insurance plans for estate workers. It’s often the case in the developing world that when a family’s major breadwinner dies, the survivors are left with nothing to cover funeral costs or support themselves until other family members find work. Life insurance offers a buffer for the poor so that even in times of tragedy, the family is provided for. The estate workers of Oothu Singampatti are also eligible to receive funeral financing assistance via a program created and funded through Fair Trade premiums. Women’s Programs: Fair Trade premiums finance training classes in occupational health and safety for all female workers on the tea estate. Safety training helps increase crop productivity and protect workers. Healthcare and Medical Expenses: Oothu Singampatti’s management provides free medical treatment for workers at both government and private hospitals. Increasingly, workers are choosing private specialty hospitals to treat their needs. The Joint Body of Oothu Singampatti has set up a fund to assist workers with up to 25 percent of the cost of specialty care. 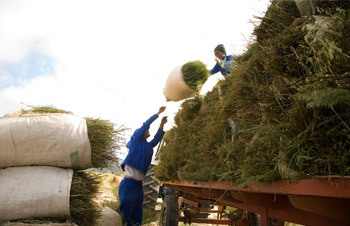 Rwanda is a tea growing region that is almost entirely unknown in the specialty tea market. However, that is starting to change as Rwandan producers begin to experiment with and create outstanding orthodox teas, and as climate change endangers traditional tea growing regions in Asia. Located near the equator in Africa, Rwanda is predicted to be one of the main geographic areas of tea production in the future (even though it has been successfully growing tea since the 1950s). 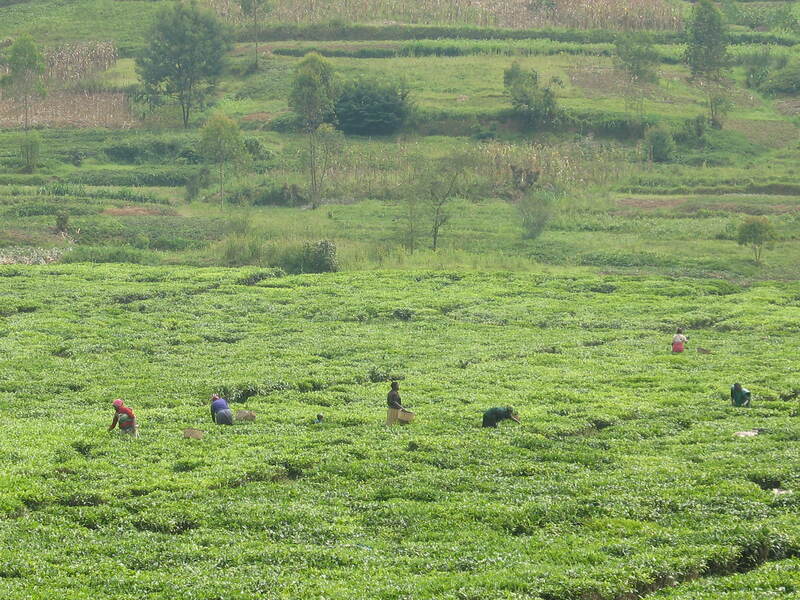 One of the most successful and largest tea gardens in Rwanda was originally founded as an experiment when the former swamp located in the Cyohoha River valley was drained in the 1970s to plant tea bushes. To many’s surprise the tea bushes flourished and eventually gave birth to a unique collaboration between private enterprise and the Rwandan government, creating the Sorwathe Tea Factory and Plantation and, later, the Assopthe Tea Cooperative. Founded by Joe Wertheim, a Jewish refugee from Germany, Sorwathe became the first private tea factory in Rwanda and later established the first orthodox tea factory in Rwanda. In 2009, Sorwathe granted shares to Assopthe, the tea farmer cooperative which supplies tea leaf to Sorwathe, making them shareholders holding 13.3% of the shares. This is the first tea cooperative in Rwanda to receive shares from the factory. Sorwathe received the US Secretary of State’s 2012 Award for Corporate excellence which recognizes a business that exhibits exemplary corporate citizenship, promotes innovation and advances democratic principles around the world. Together Sorwathe and Assopthe have grown to employ 3,000 factory and field workers and provide wages for an additional 3,500 small farmer members. With a long standing commitment to social responsibility, Sorwathe is also Fair Trade Certified. They have used fair trade premiums to support the creation of a library and hospital, fund school updates and a pre-school nutrition program (providing daily morning porridge), and construct an athletic field where many employees play sports after work. Premiums also helped introduce rocket stoves and solar cooking which allowed for smokeless cooking and reduced the consumption of firewood by 90%. The United Nilgiri Tea Estates Co. Ltd. (UNTE) is located in the Nilgiri Hills of Tamil Nadu in the southern cone of South India. The group is comprised of four neighboring tea estates: Chamraj, Korakundah, Allada Valley, and Devabetta. The tea gardens are set among rolling hills covered in dense vegetation and natural forest interspersed with small villages at elevations above 6,500 feet, which enables the production of black, green, and oolong orthodox teas of distinctive quality. At 10,000 feet, Korakundah is the highest tea estate in India. Historically, the living and working conditions of the laborers on remote tea plantations, such as Chamraj, have been notoriously poor. In 1951, the Plantation Labour Act was one of the first attempts to make estate companies responsible for the welfare of their workforce, including the provision of housing, healthcare and education. Retirement Pension: This pension program was established in 1999 and is extremely popular with the workers. Because children are moving out of the region to pursue their education, they are no longer able to care for their parents in the traditional way. Thanks to the Fair Trade premium, workers receive pensions when they retire to help support themselves financially. Not only do former laborers not need to work, but they are also able to build their own homes under the pension scheme. School Fees and Scholarships: The premium has provided crafting equipment and abacuses to the estate primary school and has paid for the expansion of the school playground, benefiting 280 children. 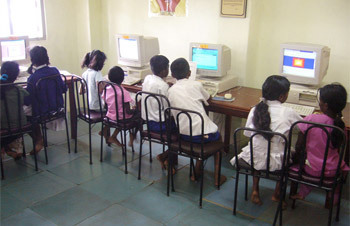 School Infrastructure and Assets: The estate has also helped construct a Fair Trade-funded computer lab for secondary students, as well as laboratory facilities for biology, physics, and chemistry students. The premium has also been used for the purchase of school buses, so that the students who live as much as 18 miles away can get to school. In addition, some fees have been allocated to pay for a hostel for students who live even farther from the school. Household and Community Appliances: Tea workers have purchased pressure cookers, gas stoves, and gas bottles with the Fair Trade premium. With new cooking equipment, the women no longer need to spend hours collecting firewood from the forest. Fair Trade premiums have also paid for a satellite TV connection and furniture for the community hall. Located in Enshi Tujia ethnic region with the Qingjiang River connecting the upper reaches of Yangtze River in Southwestern Hubei, Central China, Xuan En is well-known for its unique tribute teas as well as its superior organic and fair-trade teas. The Xuan En Yisheng Tea Co-Op, Certified Organic in 2006 and Fair Trade in 2007, was established to help local farmers develop economic stability. There are currently over 1200 members. Xuan En is one of the most impoverished counties in Hubei Province, Central China. Most of the people are of the Tujia ethnic minority. Geographically, Xuan En is part of the Wuling Mountain Range; 70% of which is covered by forestry. With very little economic industry, local communities are dependent on agriculture; tea is the most important crop for these families. Before the Fair Trade co-operative was established, the local hospital was underfunded and rundown. 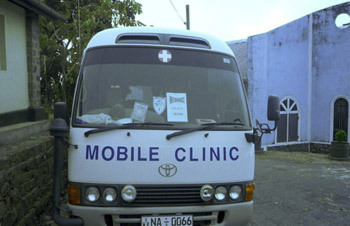 The nearest hospital was almost two hours away by car, and many of the farmers did not have access to transportation. Even though the doctors at the local hospital were dedicated and hardworking, the facilities provided at the hospital were not adequate for the majority of the local patients’ needs. The building was decrepit with a leaky roof. There were also insufficient funds to provide the hospital with basic medicines and treatments. With the help of Fair Trade Premium, the villagers were able to build a new hospital. The local government matched the Premium money. With the combined funds, the cooperative was not only able to rebuild the hospital, but also start a new clinic in their village for basic health care. The cooperative also provides financial support for the growing number of students from the cooperative’s families. Information assembled from and provided by Fairtrade International, Fair Trade USA, and individual producer publications.